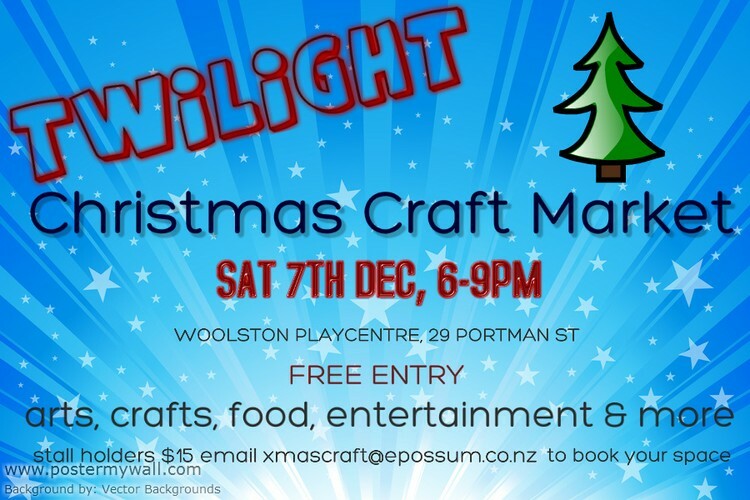 Welcome to Woolston Playcentre's first ever Twilight Christmas Craft Market! A festive fundraiser evening in our grounds with music, food and plenty of handcrafted goodies to browse and buy. Bring your family down and show your support from 6-9pm free entry. Stall holders needed: only $15, bring your own table/trestle and any other display items you require. Spread the word, this will be an annual event not to be missed. Hope to see you there!